If you’re a Star Trek fan, you’ll recognize these as the classic Trek uniforms. These are for scuba diving. 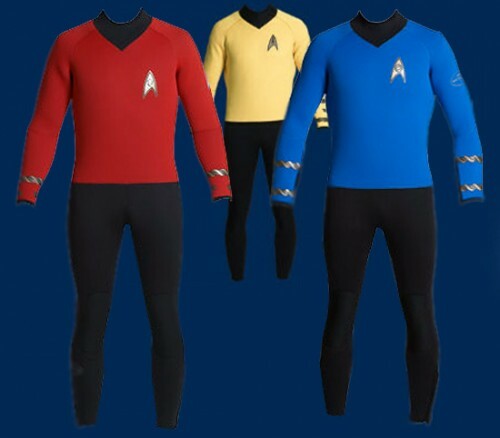 These come from the official Gene Roddenberry site, too. (ST’s creator.) But stay away from the red design– otherwise it’s going to be Jaws-city for you.